Solomun's Magic Weapons are going to be released! 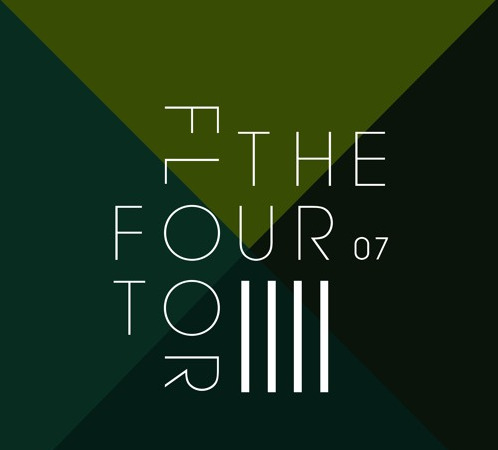 Four to the Floor 7 Ep by Human Machine, Moonwalk ,Alex Schaufel, Marst on DIYNAMIC MUSIC. - Track? !D. Home » Alex Schaufel » DIYNAMIC MUSIC » Feel Privileged » Geo Myros » Human Machine » Lets Vibe Lets Techno » Moonwalk » Updates » Solomun's Magic Weapons are going to be released! Four to the Floor 7 Ep by Human Machine, Moonwalk ,Alex Schaufel, Marst on DIYNAMIC MUSIC. Solomun's Magic Weapons are going to be released! Four to the Floor 7 Ep by Human Machine, Moonwalk ,Alex Schaufel, Marst on DIYNAMIC MUSIC. Respected label Diynamic have announced the seventh edition of its popular ‘Four to the Floor‘ series. The series aims to champion upcoming talents who are being welcomed into the label fold for the first time. Each Four to the Floor EP is comprised of four different dancefloor-orientated tracks from different producers, handpicked by the Diynamic family. The first track on the EP comes courtesy of Human Machine, a musical project comprised of four Sicilian DJs and friends. ‘Africa’ features slow building layers of synth chords over a strolling bassline, for a straight up track that fits perfectly into the Diynamic sound. It’s followed up by ‘Orbital’ from Moonwalk, a Neapolitan duo who have previously released on Still Vor Talent, Get Physical, Knee Deep In Sound and more. A thudding bassline underpins waves of synth arpeggios, before an atmospheric breakdown provides the focal point of the track. The third track is from Alex Schaufel, an upcoming Italian DJ and producer. An ethereal intro leads into the thumping beat that helped make ’Black Drumma’ a hit when Solomun dropped it at his recent Port of Ibiza gig. Rounding off the seventh edition of Four to the Floor is ‘Aquamour’, the latest track from Laurent Garnier-supported Parisian Marst. The track’s more uplifting feel, relaxed pace and epic layers of chords make it a fitting choice to close off the EP. The Four to the Floor series is just the latest incarnation of Diynamic’s success story. All four tracks of the sixth edition were in Beatport’s top spots for months, making it one of Diynamic’s most successful releases out of the label’s ten year history.